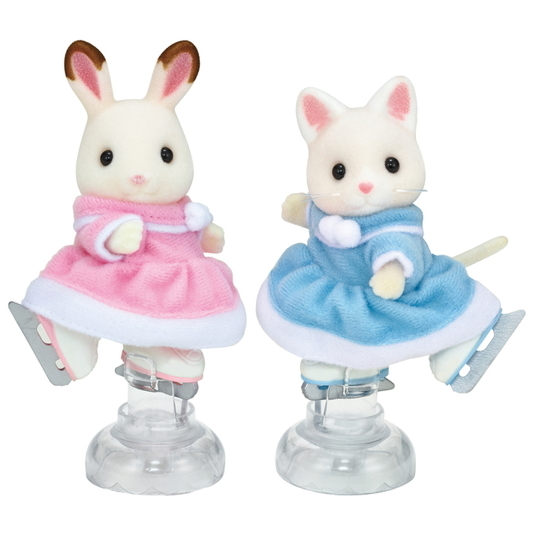 In this Ice Skating Friends set, the Chocolate Rabbit girl and the Silk Cat girl are wearing warm winter clothes made from soft fabric. 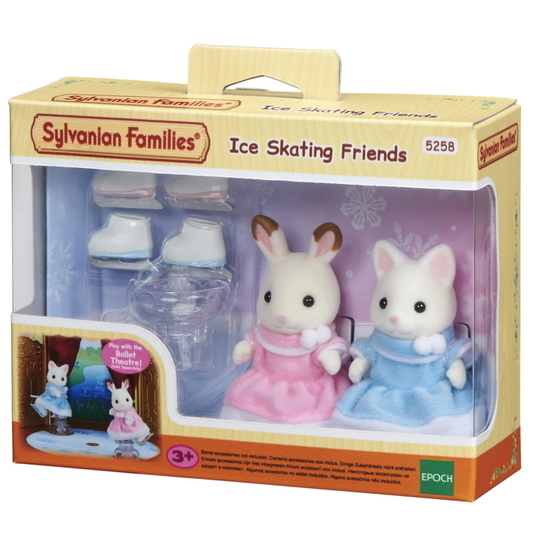 The set also comes with ice skates and dedicated stands. Put the skates on the figures and make them go ice skating. 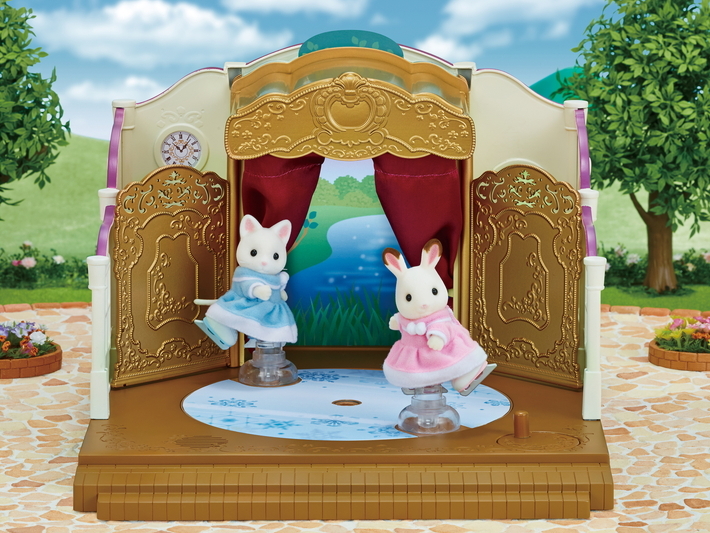 Turn over the floor sheet of Ballet Theatre (sold separately) to change the stage into a skating rink, and place the figures on their dedicated stands to make them skate. 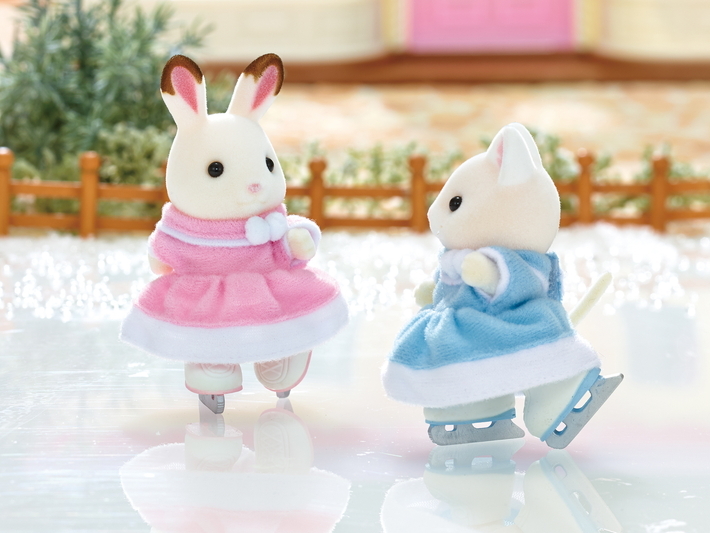 You can also play the same way with other figures by putting on the skates and placing them on the dedicated stands.